Do we know exactly what all types of mechanisms the 1541-IIs were equipped with? Were there more than one type (as with the older 1541s)? > equipped with? Were there more than one type (as with the older 1541s)? >> equipped with? Were there more than one type (as with the older 1541s)? bit when unlocking the drive. well for everything to fit. > >> equipped with? Were there more than one type (as with the older 1541s)? > bit when unlocking the drive. It's probably the other way around as those I have here are direct driven and the disk doesn't pop out. > well for everything to fit. Meaning CBM had to design *two* different bezels.. I need to dig deeper then - maybe I can find a belt-driven one and compare. If I don't find - then I'll ask for a hi-res picture of the belt-driven one. The reason I ask is that I try to design a thing that depends on mechanical layout inside the casing and I - damn it - suspected there will be more, even if all about half a dozen I found so far are the same (the direct driven). >>>> equipped with? Were there more than one type (as with the older 1541s)? >> bit when unlocking the drive. > It's probably the other way around as those I have here are direct driven and the disk doesn't pop out. Check the mechanism then, might have gotten stuck. >> well for everything to fit. > Meaning CBM had to design *two* different bezels..
one out of them. That's when I noticed it. > I need to dig deeper then - maybe I can find a belt-driven one and compare. If I don't find - then I'll ask for a hi-res picture of the belt-driven one. with a different bezel and different wiring. > >>>> equipped with? Were there more than one type (as with the older 1541s)? > >> bit when unlocking the drive. > Check the mechanism then, might have gotten stuck. I did. There is no mechanism that'd eject the disk. I guess it could be in the lower, central part of the photo but the construction there doesn't see /any/ wear at all. Meaning it probably never had anything mounted on it. No moving parts that would have left at least some marks. And the same in all I have.. If you could check if the one that actually does eject the disk looks the same as mine, only with some extra springs and levers? Otherwise that would mean even one more another... But I hope it was only CR that made the difference. > >> well for everything to fit. > > Meaning CBM had to design *two* different bezels..
> one out of them. That's when I noticed it. > - then I'll ask for a hi-res picture of the belt-driven one. > with a different bezel and different wiring. Thanks for the link to the picture. 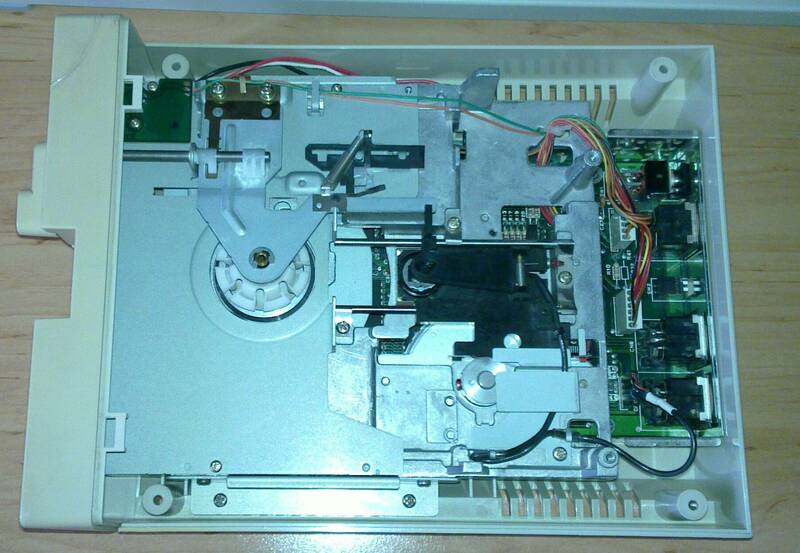 It doesn't provide enough detail for what I need but the drive looks indeed like those used in later 1541s with lever. Those I should have somewhere so in case I don't find the "-II" I may check the levered version of 1541 to do my comparisons. >>>>>> equipped with? Were there more than one type (as with the older 1541s)? >>>> bit when unlocking the drive. >> Check the mechanism then, might have gotten stuck. > I did. There is no mechanism that'd eject the disk. I know is made by Chinon and has that eject feature. > >>>>>> equipped with? Were there more than one type (as with the older 1541s)? > >>>> bit when unlocking the drive. > >> doesn't pop out. > >> Check the mechanism then, might have gotten stuck. > > I did. There is no mechanism that'd eject the disk. > I know is made by Chinon and has that eject feature. Interesting stuff. I still haven't solved my problems with the two non-working 1541-II drives (another thread), and I am now looking for a replacement mechanism. I found couple on eBay, but wondered why they all looked different to mine (Mitsumi). I had never thought these drives had different mechs, too. Can somebody provide pics on how the front panels differ between mechs? >>>>>>>> equipped with? Were there more than one type (as with the older 1541s)? >>>>>> bit when unlocking the drive. >>>> Check the mechanism then, might have gotten stuck. >>> I did. 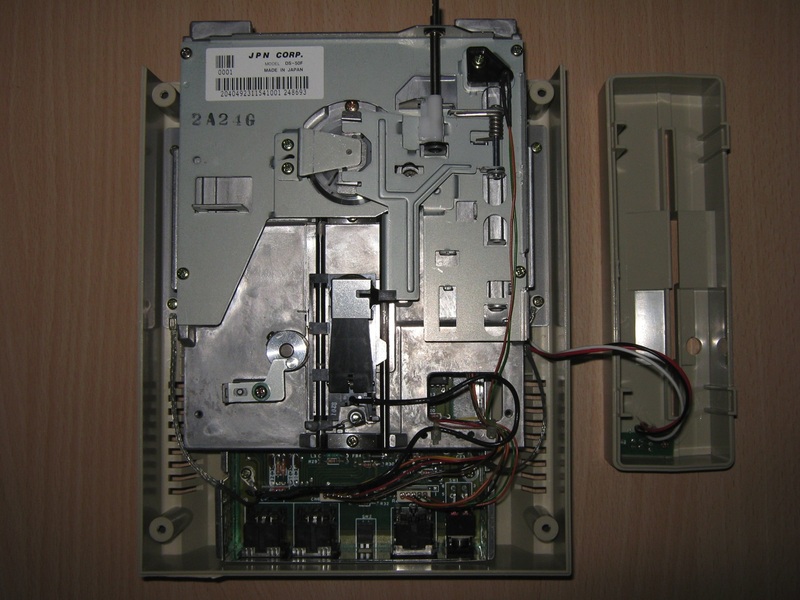 There is no mechanism that'd eject the disk. >> I know is made by Chinon and has that eject feature. > Interesting stuff. I still haven't solved my problems with the two non-working 1541-II drives (another thread), and I am now looking for a replacement mechanism. I found couple on eBay, but wondered why they all looked different to mine (Mitsumi). I had never thought these drives had different mechs, too. > Can somebody provide pics on how the front panels differ between mechs? of the Chinon and the Newtronics mailed to? Could you just post it on somewhere like postimage.org or something and post the link here? Far from complete, though (all measurements taken by hand, prety close but the shaft is just a bit too wide to take grip). >> Interesting stuff. 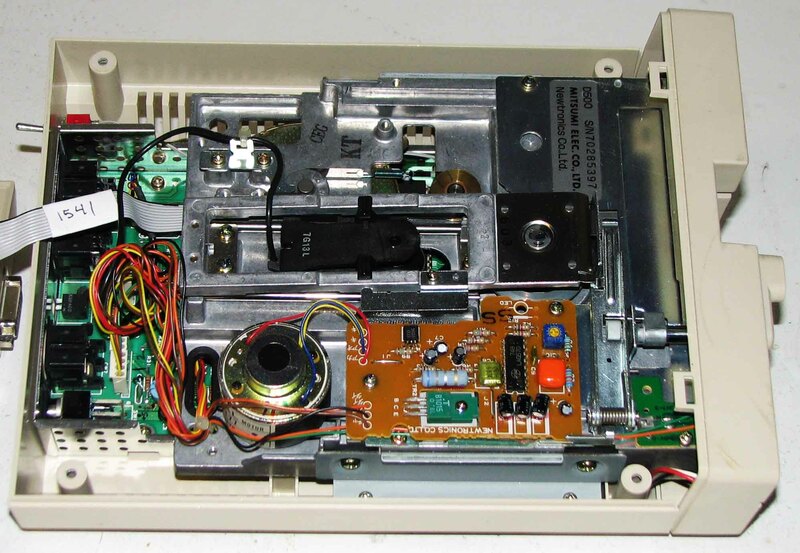 I still haven't solved my problems with the two non-working 1541-II drives (another thread), and I am now looking for a replacement mechanism. I found couple on eBay, but wondered why they all looked different to mine (Mitsumi). I had never thought these drives had different mechs, too. >> Can somebody provide pics on how the front panels differ between mechs? > Yes... What email address would you like a picture that shows the front of the Chinon and the Newtronics mailed to? > Could you just post it on somewhere like postimage.org or something and post the link here? Top one is Chinon with Eject, bottom one is Newtronics. > these drives had different mechs, too. Last night I dug the junk pile much deeper and eventually found the other variants. If nobody does, then since I have them, I should be able to document the differences soon. At first glance it seems that the main difference from the outside is that with Chinon mech, the surface where the lever goes is recessed, whereas on the ones I had before, the lever is placed on the main surface. The lever itself is different too. > Top one is Chinon with Eject, bottom one is Newtronics. >> Top one is Chinon with Eject, bottom one is Newtronics. perfectly OK, just the R/W head has a broken connection somewhere. > OK, just the R/W head has a broken connection somewhere. superficially tests (it displays symptoms consistent with that fault). assembly (or sticks on the shelf as spares for another unit). >> OK, just the R/W head has a broken connection somewhere. > superficially tests (it displays symptoms consistent with that fault). is different (usually infinite = open), the R/W head is dead. > assembly (or sticks on the shelf as spares for another unit). align it after replacing it, otherwise it will only read it's own disks. I consider a dead R/W head final and use the whole drive for spare parts.